This children´s book tells the story of little Robert. How the fire in the stove at the Glasi factory went out and how the dragon lady Leanne von Pilatus helped him. 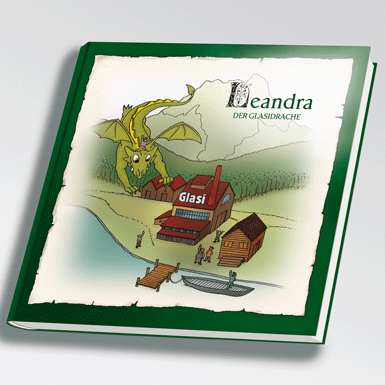 Visitors to the Glasi park can see the Dragon lady Leandra.